Xitla, Oaxaca, (pronounced ZEE-tlah) is a small Zapotec village 6 miles (9 km) west of Miahuatlán south of the capital city of Oaxaca. The word Xitla comes from the Nahuatl language and means place near the stars. 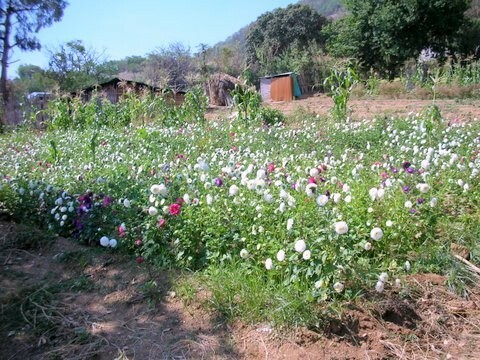 The principal crop here is flowers. Corn, coffee, sugarcane, beans, and fruits are also grown in the area. Xitla has long been embroiled in land disputes with the neighboring village of Santa Catarina Cuixtla and is very suspicious of strangers. Read about Sheila Clark's visit to Xitla in her article on Exploring Miahuatlán.